Some important scientific research methods in educational Psychology include - observation, experimentation, introspection, case study, psychological method, interview method, etc. The scientific renaissance is highly dependent on educational research, and academic institutions are the main incubator of this scientific activity, because of the information collected in multiple scientific ways. There are many definitions related to the concept of scientific research due to the multiplicity of research methodology and its differences. Scientific research can be defined as an organized scientific effort to reach new facts, collect information, verify the validity, analyze relations between different facts. Scientific research relies on the scientific method based on structured methods through observation, recording information, describing events, and making appropriate recommendations. Educational psychology is the science that is primarily concerned with the process of learning, and education in the field of a school, in particular, so that the student makes the school the basis of his study, and analysis. 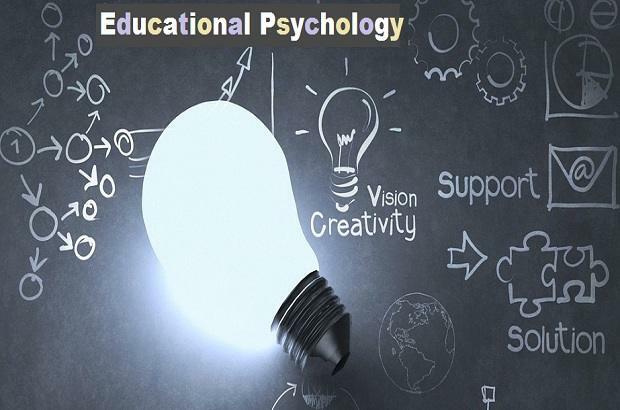 Educational psychology is also known as a field of psychology, which deals with the study of human behavior in educational situations in different educational environments, but focuses on the school stage in particular, because it is the environment in which the student interacts with the longest period of time in his educational life. So it is the science that provides us with information, concepts, principles, empirical methods, and theories that help us understand the process of learning, teaching, and explain factors that increase their efficiency. Psychology is concerned mainly with human behavior in educational and descriptive situations in particular. Thus, this science can benefit from general psychology, as long as the latter studies the behavior of learning, and education as one of the patterns of behavior taught. This does not mean that educational psychology neglects what may be useful in studying the behavior of other living organisms. It can make significant contributions to understanding the human learning process. Educational psychology is similar to general psychology in the method of research, in goals, in understanding, in control, and in prophecy. Internal Meditation Approach: This approach depends on the reflection of the human being in himself, and the attempt to understand everything that goes on in itself. Sequential approach: This approach is concerned with the study of psychological phenomena in individuals and societies, studying the sequence of their appearance and following the stages of their development. Clinical approach: It is an individualized approach, based on deep self-involvement, and is used in special situations and away from generalization. Experimental approach: The interested in the experimental approach depends on the research on the theoretical description, in addition to conducting experiments that occur under the study in order to enable the researcher to research the factors causing the phenomenon. Scientific research in the field of education can be defined as one of the fields of scientific research and aims to reach solutions to educational problems in various fields. These areas are in textbooks, school administration, teaching methods, and teaching aids. Scientific research in the field of education mainly on access to knowledge, and to ascertain the extent of its credibility. Experimentation: Experimentation is one of the most important sources from which educational psychology derives its data and information. The experimentation in the field of education provides us with a number of principles, generalizations, and laws that are considered to be true under certain conditions. Introspection: This is the oldest of all the research methods in educational psychology. This means "self-observation". Observation: observation is the second most important sources of information in educational psychology, and observation is often the only way to obtain information, especially when the teacher encounters problems cannot be subjected to the process of experimentation, the conditions must be observed. Must be accurate in terms of quantity and quality. Must be objective and far from all bias. The observed senses should be sound. You must record the note in a timely manner. Sociological tests: Sociological tests are a type of tests that give us information, data about the learner by knowing the feelings of his colleagues, and his peers towards him, and it helps to know the social structure and types of interpersonal relationships among students. Motivational questionnaires: This type of inductive studies is of great importance in gathering the information needed to test hypotheses in educational and psychological research. It is used to collect information relating to the perception of individuals, their attitudes, beliefs, attitudes, values, motives, feelings and behavior in the past, And present, and the most disadvantageous of this type of studies that they do not give sufficient and accurate answers to the problem studied. IQ and Achievement tests: IQ tests measure the ability of individuals to perform the test. They also predict the effectiveness of educational programs offered to the learner, as well as the success or failure of some individuals to perform certain tasks. Physical measures: Measures of length and weight that should be very honest. These measures are used to obtain information, data on children in a particular growth stage, their data weights, and other developmental stage information. Research methods need to be scientifically systematic and consistent if the knowledge gained by us is to be used for scientific purposes. Educational psychology uses all the research methodologies of psychology given above. In addition to these methods, there are some other methods that are used by educational psychologists to collect the essential data and organize it.